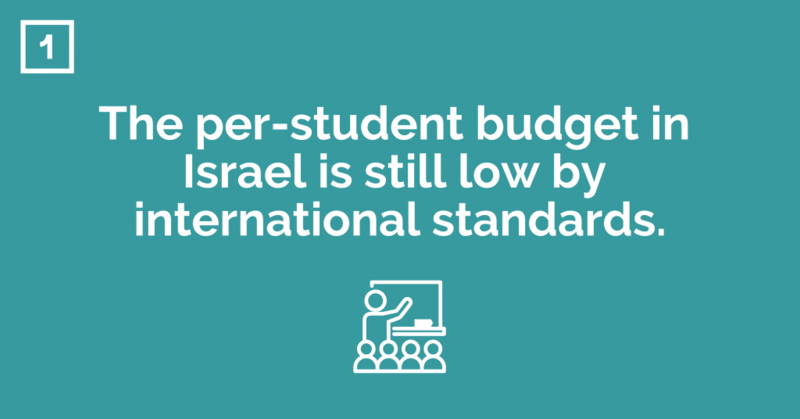 In recent years, the budget allotted per-student in Israel has grown faster than in other OECD countries. However, even after the increase, the per-student expenditure ($7,987 for high schools) is still low compared to the OECD average per-student expenditure ($10,010). 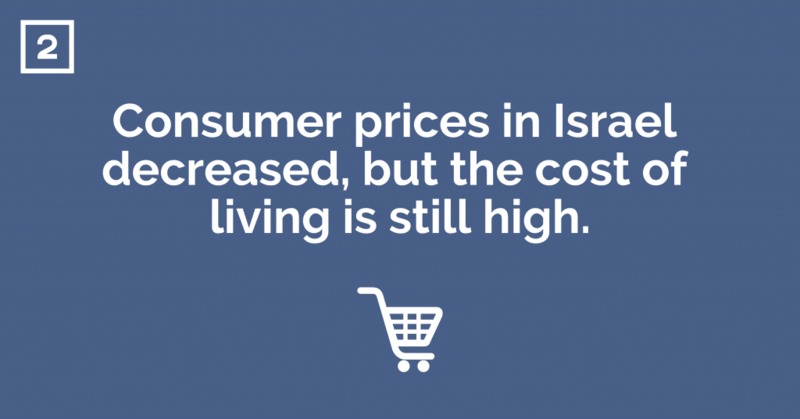 The prices of consumer goods in Israel decreased by 5% relative to the OECD, but Israel is still expensive. Consumer prices are significantly higher than those of most other OECD countries. About 8% of Israeli workers are employed in high tech—the highest percentage in the OECD. Employees in this sector also earn salaries that are 2.5X higher on average than workers in the rest of the economy. However, due to the relatively low skill levels among a large portion of the working-age public in Israel, there is limited opportunity for the high tech sector to grow in the short-term given the lack of qualified manpower available. 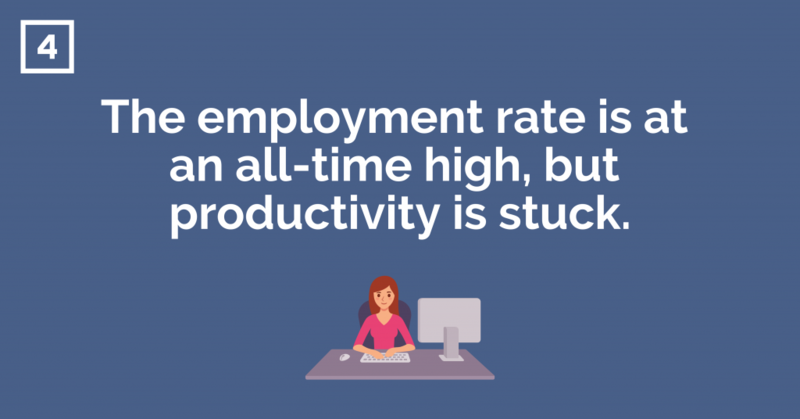 The employment rate in Israel has reached an all-time high of 78%, unemployment is at a historic low, and wages are rising. Nonetheless, Israel’s labor productivity is stagnant, for the most part, posing a barrier to long-term economic growth. 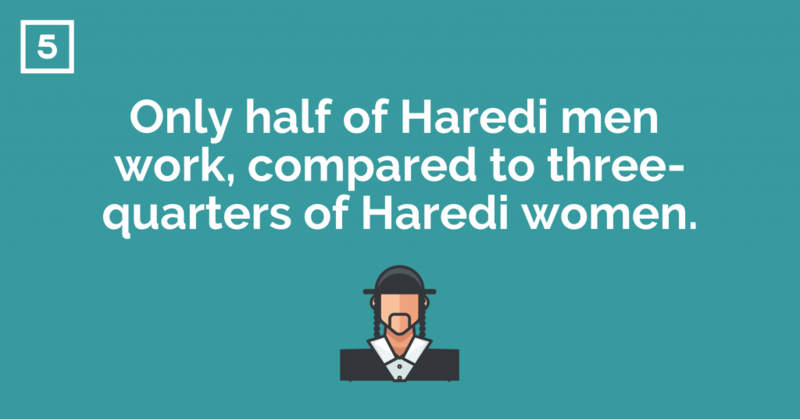 About 48% of working-age Haredi men are employed, far from the government’s expressed goal of 63% by 2020. That said, Haredi women’s employment continues to rise, now standing at 76%. 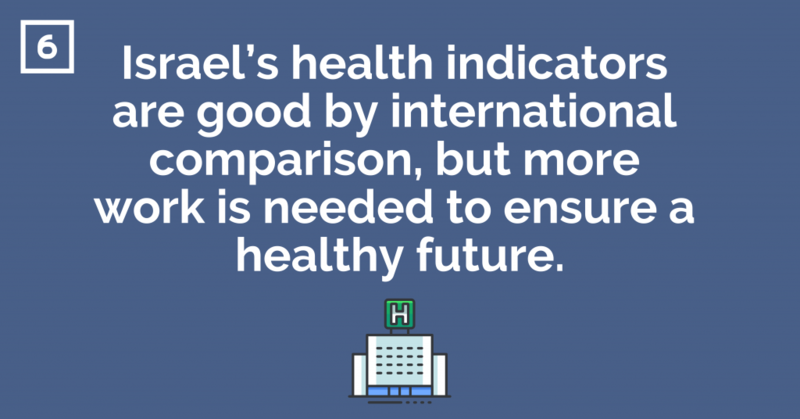 The health outlook for Israel in terms of international measures is outstanding, with low infant mortality and high life expectancy. However, structural challenges in the healthcare system can create inequality in access to certain health services between different population groups. 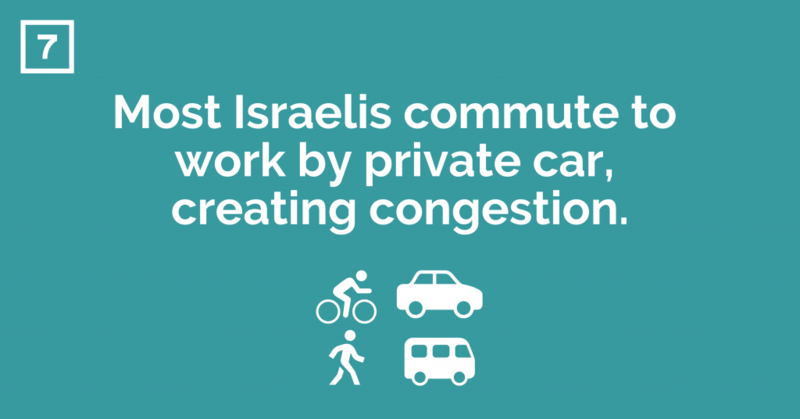 Out of all working age Israelis, 62% travel to work in a car, only 17% by public transportation, 10% by bicycle or by foot, and 8% by work organized transportation. Over the last 30 years, the number of Israelis working outside their residential area has risen from 42% to 54%. Taken together, these trends pose a substantial burden on Israel’s infrastructure. When the ability to buy a home is assessed in terms of total disposable household income, rather than by the traditional measure of the number of monthly salaries needed to purchase housing, the findings show that housing is, indeed, expensive, but more moderate compared to the aforementioned assessment. This is mainly due to an increase in income earners per household. 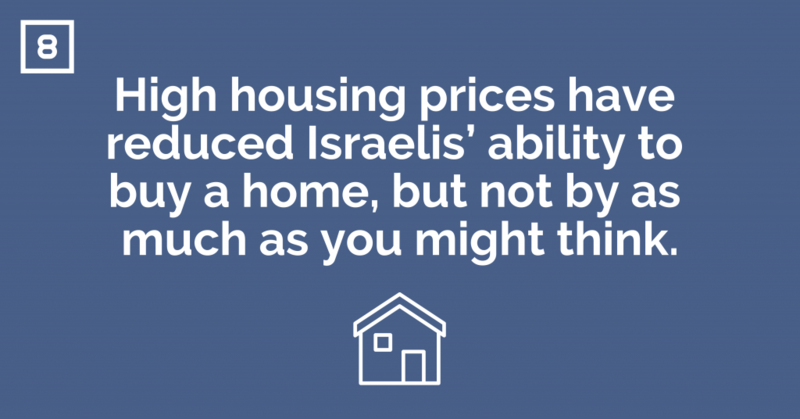 By this measure, the difficulty for a household in Israel to purchase a home today is about the same as it was in the mid-90s. Slight decreases in poverty and inequality levels over the past few years appear to stem from increased labor market participation (though often at low wage levels), and social security program changes focusing on specific populations whose members can be brought above the poverty line relatively easily. 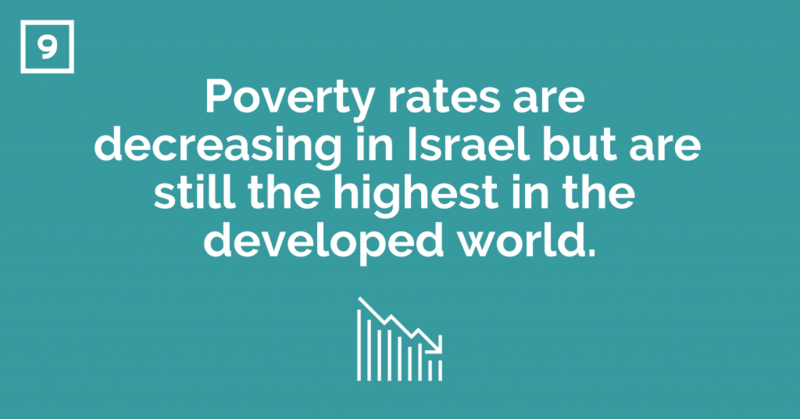 However, these changes have not affected the majority of the needy population, and the share of Israeli families living in poverty and the inequality between Israelis are still among the highest in the OECD. 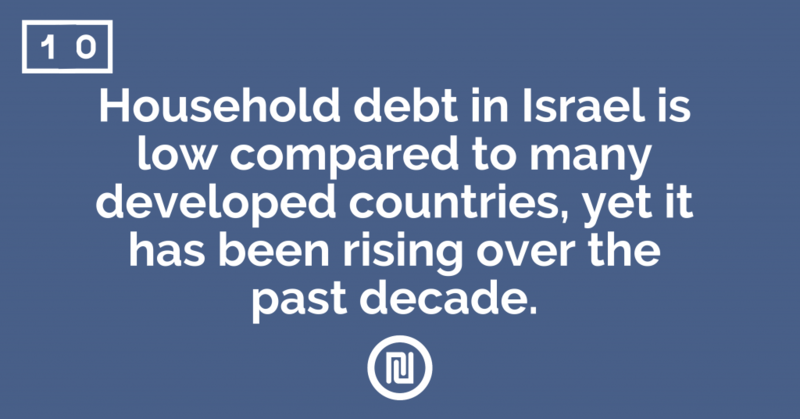 The ratio of household debt to GDP in Israel stands at only 42%, while in many other countries the ratio exceeds 100%. Still, between 2008 and 2017, household debt increased by 84%. This increase in the past decade stems from a number of factors: rising housing prices, low interest rates, and an increase in the supply of credit and private consumption.